Beth Otterstein has worked at the Flagstaff Planned Parenthood for 30 years. The Ninth Circuit Court of Appeals will hear oral arguments tomorrow to decide whether to block new Arizona abortion regulations. The new law would make it more difficult for women in rural parts of the state to access abortion services. Proponents of the law argue it would make the abortion pill safer. From KJZZ's Fronteras Desk in Flagstaff Laurel Morales reports. 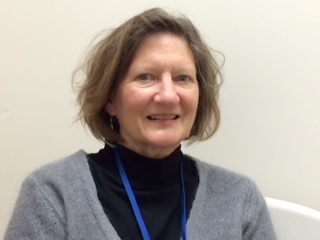 Beth Otterstein has been a nurse practitioner at the FlagstaffPlanned Parenthood for three decades. She’s dealt with many changes over the years -- periods when the Flagstaff clinic couldn’t offer abortions for various legal reasons. "People travel huge distances," Otterstein said. "Some of the reservation people might travel for three hours just to get right here to the Flagstaff clinic." This clinic is only big enough to perform medication abortions using a pill known as RU486. Otterstein said in addition to the patients coming from Indian Country, she has women travelling from as far away as Utah, Southern Colorado and Nevada. "We see some very sad cases," Otterstein said. "The one that always first comes to mind there’s a woman that was an abuse case from the reservation. Her partner was still at large. And she was badly abused badly abused. She had been in the Flagstaff shelter. And she had young children she has no transportation no money she has a man still looking for her." Otterstein said the woman decided to terminate the pregnancy but was too far along for the abortion pill. So she had to travel down to Phoenix for the surgical procedure. "It was just heart wrenching heart wrenching but we see these kinds of stories every few days," she said. Otterstein said new regulations mean the clinic will likely be sending more women to Phoenix. For one, recently approved regulations say only a physician can administer the pills. The Flagstaff clinic has a doctor one day a week. Secondly, the law hung up in court would require women take both pills in the clinic with a doctor. And she’d have a shorter window to do it, before her seventh week of pregnancy. But a woman typically finds out she’s pregnant in the fourth or fifth week. She comes to the Flagstaff clinic for the initial consultation. She has to wait for the doctor to come back a week later to take the first pill. And under the blocked law the doctor can no longer give her the second pill to take at home 48 hours later. So that’s three separate appointments in a limiting timeframe. "This law is about the health and safety of women," said Josh Kredit, legal counsel for the Center for Arizona Policy, which backed the law. "The FDA, when they approved RU486 for use as a chemical abortion they intended to restrict the use of it basically saying this is such a dangerous drug we will only approve it under specific circumstances knowing it will be used a certain way," Kredit said. That way also means women taking a higher dosage. The American Congress of Obstetricians and Gynecologists and the American Medical Association filed a brief with the court saying these FDA protocols are outdated and actually “prescribe a regime that is less safe.” And for women unwilling to make three trips to Phoenix, the pills become unattainable. Stephanie, who didn’t want to use her last name, had to travel from Flagstaff down to Phoenix for a surgical abortion in 1998 because Flagstaff wasn’t offering abortion services at the time. "It was difficult it was difficult because I assumed it was Planned Parenthood and I kind of assumed it was a big enough town I was going to be able to have the procedure done here," Stephanie said. "When they said no you can’t you have to have it down in Phoenix it was very emotional for me because I knew I had to find a way down there." Stephanie made it down to Phoenix only to be told she’d have to come back in two weeks. "Most women on the reservation and in rural communities and even in Flagstaff their choice is very limited," Stephanie said. "And their choice might be made by whether or not they can or cannot get down to Phoenix in a timely manner." If the Ninth Circuit Court upholds these medication abortion regulations, the Flagstaff Planned Parenthood says it will have to hire another physician. And in the past, that’s been difficult to do.